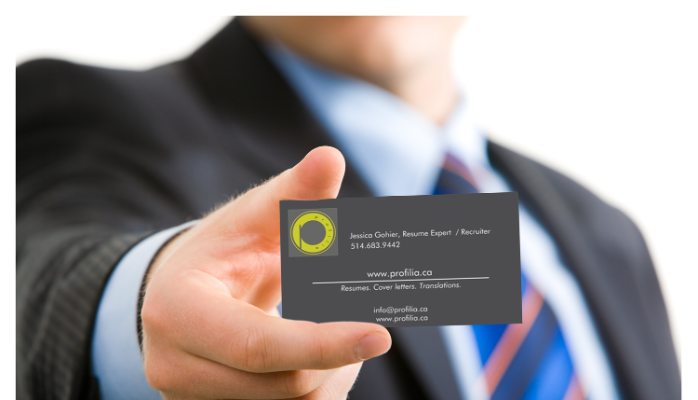 Founder and President of the Montreal based recruiting agency Recrute Action. Francois Paiement has been a trusted recruiter for the past 15 years and has worked with large and small corporations alike. Since 2009, his agency’s recruiting operations are specialized in IT, marketing, sales, finance, administration, management and customer service. He represents clients across Canada, with over 120 consultants working onsite for various clients. 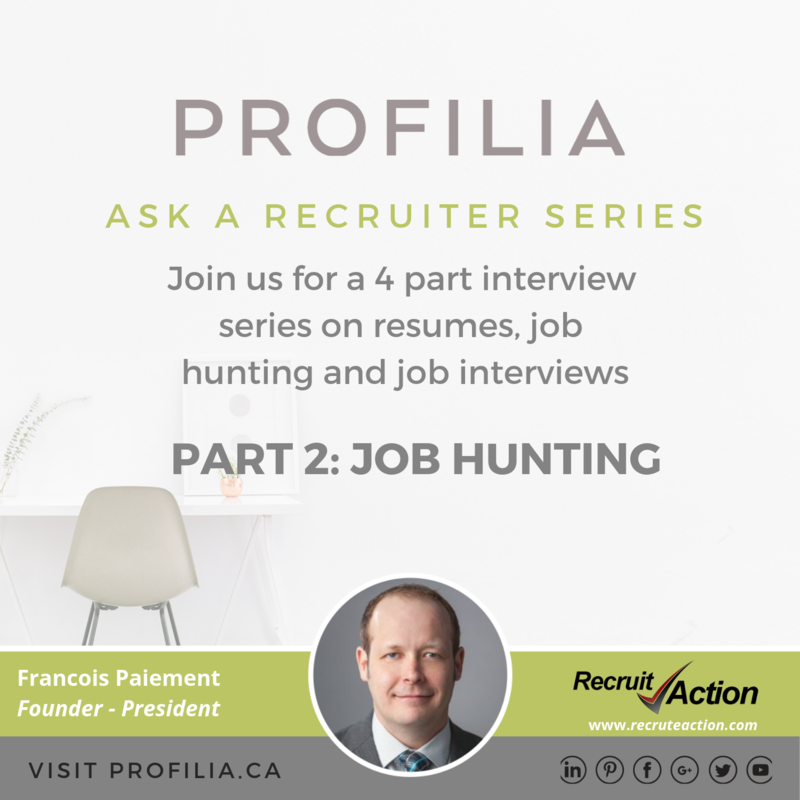 We interviewed Mr. Paiement to present you a four-part series on hot topics such as optimizing your resume, job hunting and job interviews. 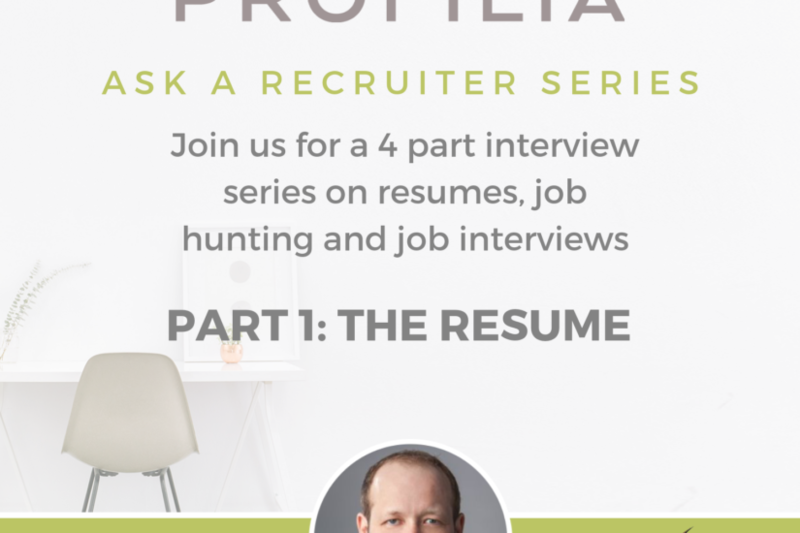 Although different types of recruiters may have various perspectives on the topics in question, we hope to shed some light on some of the most common questions, as well as generate inspiration for your 2019 job hunt. Someone wants to look for a new job. Where do they start? STEP 1 is to know what you want! What do you want to do? What do you feel qualified for? What industry would you like to work in? Once you have defined these parameters, you can then move forward in terms of updating your resume, searching for postings, and actively applying. That said, even if you have narrowed down what you are looking for, it is still important to keep a open mind: remember that you might get contacted for a role you would never have even considered, which could still turn out to be a very interesting opportunity. STEP 2 is to work on tailoring your resume. For this, remember that the resumes you post on job boards may differ from the one you send when applying to a specific job. Your resume on job boards should be more general, yet specific to what you are looking for, in order to maximize your chances of getting a phone call for a role you would find interesting. However, when applying to a specific job, you will want to tailor it for the job posting in question, as well as for the company itself. In this case, you want to ensure that every piece of information read by the manager or HR, is relevant to the job and company you are applying to. Keep in mind the objective of a resume is to get a phone call. Craft your content based on the job description, with an interview in mind, including your responsibilities, achievements and outcomes. The best way to sell yourself is to give facts and achievements. Go further then just writing a list of your responsibilities. Rather, what came out of those responsibilities? Did you save money or time for the company? Were there any issues that you were able to solve, which no one else could? STEP 3 is to prepare a cover letter, which should then be tailored to the company. Show effort and attention to detail when customizing your content. Do some research. It will show! If you are not going to take the time to tailor your cover letter to the job and company you are applying for, why would a HR or manager take the time to read it? Remember to be consistent in your job search and to make sure you do not waste your time with irrelevant applications. Cleary distinguish your career and short-term jobs in your head, and be sure to maintain an appropriate persona accordingly, not to confuse the organizations receiving your applications. How long does a standard job search take? This really depends on how much effort you are willing to invest in the process. Active and passive job-hunting yield very different results. To minimize how long a successful job hunt can take, take a proactive approach to the process by connecting with people, attending strategic events, and maximizing your use of LinkedIn. Even when you are not looking for a job, continue to connect with people, nonetheless. On LinkedIn, make sure to never refuse an invitation simply because you are not actively looking for a new role. Mostly, start preparing and planting seeds right away, so that when the time comes to be looking for a new job, you will already have a network to contact and will not be starting from scratch. Can you explain the structure of a job description? How do we read & interpret them? A job posting describes the ideal candidate for the role. If you do not check all the boxes of requirements, consider explaining the gaps and how your experience or education makes up for it. Is customizing your resume to the job that important? Oh yes! Absolutely. When done well, it really makes a good candidate stand out. Remember that your goal goes beyond showing that you are qualified for the job. Rest assured that you are not the only one applying for it, so you absolutely need to make your resume stand out. What disqualifies a candidate immediately? This can happen for many reasons, but the first that comes to mind is a resume that is not customized for the job (i.e. not containing the right key words). Other reasons include inconsistency between the LinkedIn profile and resume, as well as a negative image in social media profiles. Too much information is just as bad as not having enough: if someone is lost reading your resume, they will most likely move on to the next one. Lastly, consider the fact that they may have received other resumes that simply better responded to what they were looking for. How competitive is the job market? Very competitive! It is also currently a candidate’s market rather than an employer market. This means that companies are struggling to find the right candidates for their postings, but that they are also often willing to wait for the right one to come along to make an offer. In such a market, qualified candidates can find themselves having multiple quality offers to chose from, which is a great position to be in for them. Because of this, it is even more important to properly present yourself in order to get to this point in your job hunt. Make sure to really differentiate yourself from the competition. Consider different approaches to applying, rather than going through the standard application process. Perhaps look up the recruiter directly and call them! Go find them on LinkedIn. Don’t be afraid to take the road less travelled. Someone may take positive notice that you are thinking outside of the box. Experience or education? What matters most? The answer to this question may differ based on each situation, industry, company and seniority of the role. In accounting, having your CPA or other Certifications can be a must. For project manager roles, having your PMP can also be a must to some companies, and not for others. You could be disqualified for a role due to not having a Certification or Education, but the chances of being disqualified for a role due to having certain certifications or education are far less probable. In other words, education may not be a must but could only have a positive impact on someone’s career. However, remember that practical experience cannot be taken away from you, and certainly has a lot of value. Besides knowledge, education shows someone’s ability to learn, as well as to see a project through, from start to finish.